The upper levels of the Alcazar are still used by the royal family as the official Seville residence and are administered by the Patrimonio Nacional. 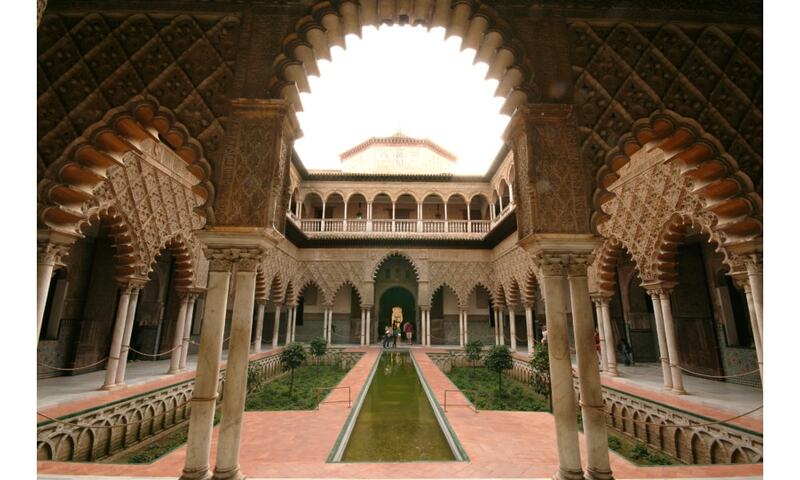 It is the oldest royal palace still in use in Europe, and was registered in 1987 by UNESCO as a World Heritage Site, along with the Seville Cathedral and the General Archive of the Indies. The Alcazar is situated near the Cathedral and the General Archive of the Indies in one of Spain's most emblematic areas.